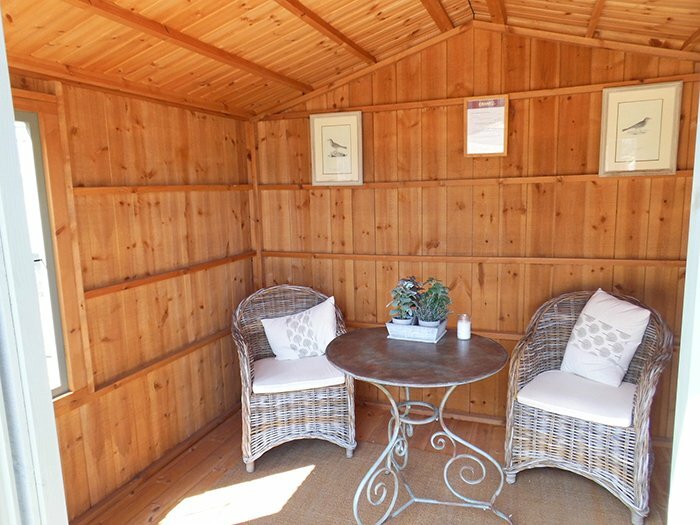 Options: This chalet-style summerhouse is part of the National Trust range, and it gives off a traditional beach hut feel with the apex roof and roof overhang. 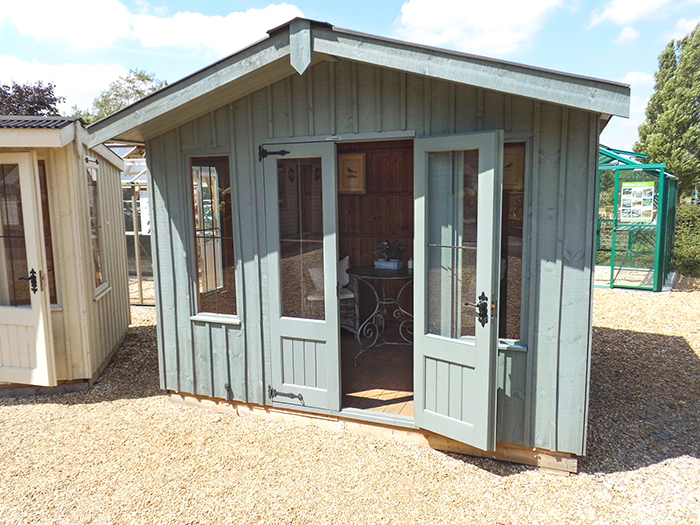 Corrugated sheeting covers the roof for waterproof protection, and there are traditional, ornate features, such as the leaded windows and Fleur-de-Leys style cast iron door and window furniture. 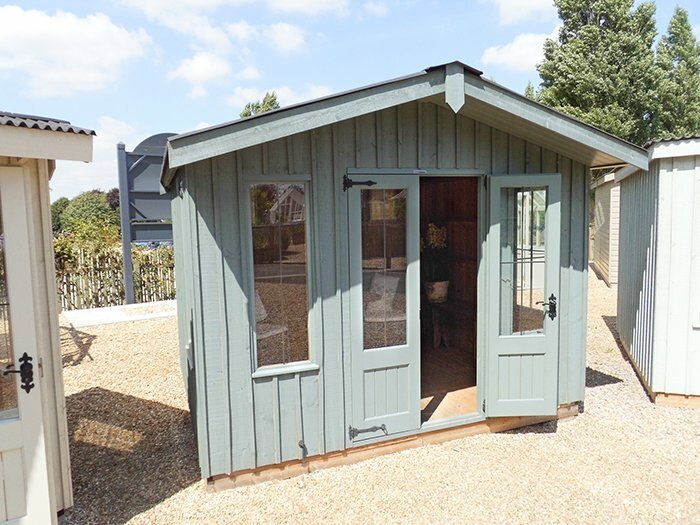 Rustic textured vertical sawn boards have been used for the external cladding, and the paint colour is Terrace Green from our National Trust paint range. Please note: All Ex Display Buildings are likely to have scuffs/marks on their floors due to customers regularly walking in and out of them.